Draft: 2006, Seattle Mariners, 7th rd. Douglas Wildes Fister…he and his wife, the former Ashley Phelps, were married on 11/8/14 and have a daughter Blythe (8/3/16)…his father Larry played football at Fresno State Univ. in 1976-77…was an A's and Giants fan as a youngster and favorite player was Cal Ripken, Jr...participated in the Rangers 2018 Fan Fest and winter caravan. Signed a major league contract with LAA on 5/20 and was optioned to Salt Lake (AAA)…made 3 starts for the Bees (1- 0, 4.02), issuing one run in each of 1st 2 outings before allowing 5 R in 5.0 IP on 6/16 vs. Reno…was claimed on release waivers by BOS on 6/23 and added to big league club the following day...was 5-7, 4.71 (44 ER/84.0 IP) in 15 starts and 0-2, 7.11 (5 ER/6.1 IP) in 3 relief appearances for the Red Sox the rest of the season…ranked 4th on the staff in wins, starts, and innings (90.1) beginning 6/24…opponents batted .254, including career low .208 vs. RHB... Was 0-5, 6.04 (17 ER/25.1 IP) in 7 G/4 GS through 7/25…that extended his losing streak to 10 over 2 seasons since recording victory on 8/22/16 at PIT for HOU… beginning 7/31, was 5-2, 2.79 (15 ER/48.1 IP) over next 7 starts, working at least 7.0 IP 5 times…snapped 10-game losing streak with 6-2 win on 7/31 at CLE…went 3-1, 1.50 (5 ER/30.0 IP) over 4 starts from 8/22-9/6, issuing 5 or fewer hits in all 4 games… allowed 5 1st inning runs and 0 runs in other 26.0 IP in that span…beginning 9/13 was 0-2, 9.18 (17 ER/16.2 IP) in final 4 regular season starts. ONE-HIT GEM // Pitched CG one-hitter vs. CLE on 8/22 at Progressive Field, allowing 1st inning leadoff HR to Francisco Lindor and faced the minimum number of hitters over final 8.0 IP as a HBP and BB were erased on double plays…was just the 3rd pitcher since 1900 to throw a CG 1-hitter and allow a leadoff HR: Jack McDowell, CWS on 7/14/91 at MIL (Paul Molitor HR) and Robin Roberts, PHI-NL on 5/13/54 vs. CIN (Bobby Adams HR)… was 1st one-hit CG by a Red Sox since Jon Lester on 5/10/13 vs. TOR and was low-hit CG of his ML career. Tied for staff lead in quality starts (16) and placed 2nd in wins (12) starts (32), and innings (180.1) in lone season with HOU…matched career high for starts… among A.L. pitchers vs. opposing RHB, ranked 3rd in slugging percentage, (.322) and OPS (.606), 5th in batting average (.225), and 8th in OBP (.284)…set career high with 9 road wins, T2nd most in A.L. and most by an Astros pitcher since Roy Oswalt in 2004…was 8-6, 3.55 in 17 1st half starts and 4-7, 6.20 in 15 games after the AllStar break…matched longest winning streak of his career with 7 straight victories, 5/1-6/20…HOU was victorious in all 10 of his starts in that span, tying the franchise record shared by Joe Niekro (1979), Nolan Ryan (1983), and Donnie Wall (1996)… went 4-1, 2.45 in 5 June starts, tying for 2nd in A.L. in wins for the month…allowed 3 runs or less in 12 consecutive starts, 4/20- 6/20, tied for A.L. 's 2nd longest such streak of the season…was on the MLB Paternity List for birth of son, 8/3-6…went 3-1, 2.40 (8 ER/30.0 IP) over 5 starts vs. TEX from 7/12/13-8/6/16, issuing 2 runs or less whole working exactly 6.0 IP in each outing. Converted to a relief role in early August after making 15 starts to begin the season...battled right forearm soreness that landed him on the disabled list on May 15...went 4-7 with a 4.60 ERA in his 15 starts...started strong, going 2-1 with a 2.87 ERA (12ER/37.2IP) in his ﬁrst six starts of the season...tossed 7.0 innings of four-hit, shutout ball on June 25 vs. ATL in what was his best start of the 2015 season...went 1-0 with one save and a 2.12 ERA (4ER/17IP) in his 10 games out of the bullpen...did not allow an earned run in his last six games (10.1IP)...had one DL stint from May 15-June 18 with right forearm soreness. Did not pitch until May 9 (team game #35) due to a right lat strain, yet led the Nationals with a career-high 16 wins...Ranked among NL starters in ERA (4th, 2.41), walk rate (3rd, 4.1%), WHIP (5th, 1.08), walks per nine innings pitched (2nd, 1.32), wins (7th, 16), winning percentage (3rd, .727), strikeout-to-walk ratio (7th, 4.08) and wins above replacement (9th, 4.5)...Posted more starts (25) than walks issued (24)...Was one of five big league starters to accomplish the feat, along with fellow National, Jordan Zimmermann...Zimmermann and Fister were the first set of rotationmates to achieve this feat since Brad Radke (31 starts, 23 walks) and Carlos Silva (27 starts, 9 walks) turned the trick for the 2005 Twins...In last 51 years (1964-2014), three NL pitchers with 16 wins in 25 or fewer starts: Fister (16W, 25GS/'14), K.Hill (16W, 23GS/'94), G.Maddux (16W, 25GS in 1994)...Allowed zero earned runs in starts of at least seven innings eight times, second-most in MLB behind STL's Adam Wainwright (12)... Tossed his second career shutout (7th complete game) on Sept. 26 vs. MIA (9.0 IP, 3 H, 9 SO)...Earned the win in Game 3 of the NLDS vs. SF, the only victory Washington would claim in the best-of-five series. Posted career highs with 14 wins and 159 strikeouts en route to ranking among AL leaders in GDPs induced (tied first, 26), home runs allowed per 9.0 innings (2nd, 0.60), ground ball-to-fly ball ratio (3rd, 2.17/1), walks per 9.0 innings (4th, 1.90), fielding independent pitching (6th, 3.32), wins (tied 8th), strikeout-to-walk ratio (9th, 3.61/1) and quality starts (tied 9th, 22) in his last of 3 seasons with DET...issued one walk or fewer in 21 of 32 starts (66%), but 16 hit batsmen ranked 2nd in MLB behind only CLE's Justin Masterson (17)...secured the win in 100th career start, April 28 vs. ATL (W8-3)...finished 3-1 with a 2.23 ERA in 6 games/5 starts of interleague play (lone loss came to Nationals, May 9 in DC). Completed his first full season with the Tigers in 2012, winning 10 games. ... Sidelined April 8-May 7 with a left costochondral strain. ... Assigned to Triple A Toledo for an injury rehabilitation assignment on May 2 -- started that evening versus Pawtucket,fanning five batters as he tossed four shutout innings. ... Compiled a 3.52 ERA (30.2IP/12ER) in five starts during May. ... Sidelined May 29-June 16 with a left side strain. ... Registered a quality start in seven straight outings July 13-August 14 -- finished 5-1 with a 1.52 ERA (53.1IP/9ER) and48 strikeouts during the stretch. ... Fanned a season-high 10 batters on July 18 versus the Los Angeles Angels of Anaheim -- equaled the high with 10strikeouts on September 27 versus Kansas City. ... Selected the Tigers Pitcher of the Month for July -- posted a 4-2 record, 3.60 ERA (40.0IP/16ER) and 37 strikeouts insix starts during the month...tied for third in the American League with four wins during July, while he tied for sixth with37 strikeouts. ... Went the distance to earn the win on August 4 versus Cleveland -- marked the fourth complete game of his major league career. ... Did not make his scheduled start on August 25 versus the Los Angeles Angels of Anaheim due to right groin soreness. ... Posted a 2-1 record, 3.38 ERA (32.0IP/12ER) and 25 strikeouts in five starts during August. ... Tossed the first shutout of his major league career on September 22 versus Minnesota, fanning seven batters as heallowed seven hits -- marked the fifth complete game of his major league career. ... Established a single-game American League record by striking out nine straight batters on September 27 versusKansas City -- the previous single-game American League record was eight straight strikeouts by California's NolanRyan (July 9, 1972 and August 7, 1973), New York's Ron Davis (May 4, 1981), Boston's Roger Clemens (April 29,1986) and Kansas City's Blake Stein (June 17, 2001)...Fister eclipsed the previous single-game Tigers record of sevenstraight strikeouts held by Denny McLain (June 15, 1965 versus Boston) and John Hiller (October 1, 1970 versusCleveland). ... Compiled a 3-1 record, 2.34 ERA (34.2IP/9ER) and 31 strikeouts in five starts during September -- tied for fifth in theAmerican League with three wins during the month, while he finished 10th with a 2.34 ERA. ... Posted an 8-4 record and 2.67 ERA (101.0IP/30ER) in 15 starts following the all-star break...finished 2-6 with a 4.75ERA (60.2IP/32ER) in 11 starts prior to the all-star break. ... Limited righthanded hitters to a .220 batting average (56x255)...lefties batted .270 (100x371) with Fister on the mound. Began the 2011 season with the Seattle Mariners before he was acquired by the Tigers in a six-player deal on July 30 -- compiled an 11-13 record and 2.83 ERA (216.1IP/68ER) in 32 outings (31 starts) between the two clubs...Fourth in the American League with a 2.83 ERA...finished fourth in the league with 1.5 walks per nine innings...Established career highs with 11 wins, 216.1 innings pitched and 146 strikeouts...Tossed the first complete game of his career on April 14 at Kansas City -- threw two more complete games during the season, going the distance on June 9 at Detroit and July 2 versus San Diego...Suffered the loss in seven straight decisions June 4-July 26, equaling a career-long losing streak...Earned the win in his Tigers debut on August 3 versus Texas -- did not allow a walk or strike out a batter in seven innings of work...became the first Tigers pitcher to work seven-or-more innings while not allowing a walk or striking out a batter since Justin Verlander did so in eight innings of work on May 17, 2006 versus Minnesota...Compiled a career-best seven-game winning streak August 20-September 26 -- posted a 0.65 ERA (55.2IP/4ER) and 52 strikeouts during the eight-outing (seven-start) stretch...Posted a 17.0-inning scoreless streak over a three-start stretch August 20-30...Finished 3-1 with a 2.97 ERA (36.1IP/12ER) in six starts during August...Established a career high with 13 strikeouts on September 5 at Cleveland...Tabbed both the American League and Tigers Pitcher of the Month for September after posting a 5-0 record, 0.53 ERA (34.0IP/2ER) and 34 strikeouts in five outings (four starts) -- led the American League with a 0.53 ERA during the month, while he tied for the lead with five wins and tied for seventh with 34 strikeouts...Limited righthanded hitters to a .235 batting average (84x357)...lefties hit .239 (109x456) against him...Compiled an 8-3 record and 2.47 ERA (91.0IP/25ER) in 14 appearances (13 starts) following the all-star break... finished 3-10 with a 3.09 ERA (125.1IP/43ER) in 18 starts prior to the all-star break...Fanned six batters in relief in Game One of the American League Division Series on September 30 at New York's Yankee Stadium -- marked the most strikeouts by a Tigers pitcher in relief during a single post-season game...Surrendered two runs in 7.1 innings of work to earn the earn the win in Game Three of the American League Championship Series on October 11 versus Texas -- marked the fifth time a Tigers pitcher has worked seven-or-more innings and allowed two-or-fewer runs during an American League Championship Series game...marked the 16th time a Tigers pitcher has accomplished the feat during a post-season game. Set career-highs in games, starts,innings, strikeouts and wins. ... Had nearly a 3:1 strikeouts-to-walksratio (32 BB, 93 SO)...ranked 3rd inAL with 1.68 BB/9.0 IP. ... Opened season with 9 straight startsallowing 3 earned runs or less...streak was 3rd-longest in club historyto begin a season (Erik Bedard-14 in'09, Erik Hanson-11 in '93). ... Tossed at least 7.0 innings in 8 of hisfirst 10 starts, including four starts ofat least 8.0 innings. ... Had 5 starts of 7.0+ innings while allowing 2 earned runs or less; including 4 straight April13-May 2...during the streak, was 2-0, 0.87 ERA (3 ER, 31.0 IP). ... Had a 3.06 ERA (17 ER, 50.0 IP) in 8 no-decisions, leaving the game with the lead or tiedin 7 of the 10 starts. ... Tossed 6.0 innings of no-hit ball in 3rd start of season April 19 vs. Baltimore; Nick Markakisled off 7th with single. ... Recorded career-high 14.0 scoreless innings streak April 13-19...had 10.0 hitless inningsover that stretch, including streak of holding opponents hitless in 31 consecutive atbats ... only 2 pitchers in club history have enjoyed longer streaks: Randy Johnson in 35consecutive at-bats in May 1993 and John Montague in 40 straight at-bats in July 1977. ... Threw career-high 8.0 shutout innings in 2nd start April 13 vs. Oakland ... matched 8.0ShO IP performance May 2 vs. Texas. ... Retired the first 16 batters he faced May 2 vs. Texas before one-out 1B to Max Ramirezbroke up perfect game ... finished with 8.0 shutout innings in a no-decision. ... After first 10 starts of season was 3-3, 2.45 ERA (19 ER, 69.2 IP); ranked 2nd in AL ERA. ... Placed on 15-day disabled list (right shoulder fatigue) June 6; sent on rehab assignmentto Tacoma (AAA) June 20; recalled and activated from rehab June 25. ... Made rehab start with Tacoma June 20 at Portland; allowed 2 ER in 4.0 innings. ... Was 3-11, 5.24 (101.1 IP, 59 ER, 8 HR) in 18 starts after return from DL. Split the first half of the seasonbetween West Tenn (AA) and Tacoma(AAA)...finished season with Seattleafter being recalled on Aug. 8...Made his Major League debut Aug.8 vs. Tampa Bay...retired the first 2batters he faced then allowed a hitand a walk before getting his first bigleague strikeout (Gregg Zaun)...Made first career start on Aug.11 vs. CWS, allowing only 1 hit in6.0 shutout innings (6.0,1,0,0,4,4);became the first Mariner to throw atleast 6.0+ shutout innings in his first career start (Aug. 11 vs. CWS) since Clint NageotteJune 7, 2004 and is the only player in club history to go 6.0+ innings, allow 1 or fewer hitsand not allow a run...prior to his start, Brandon Morrow was the only other pitcher to go6.0+ innings and allow 1 hit or less and 1 run or less...Recorded first career win in Mariners 10-3 victory over NYY on Aug. 16 (7.0,8,3,3,0,4)...allowed 2 runs in 3rd inning, ending his scoreless streak to begin his career at 9.0 innings...Tossed career-high 7.1 innings on Sept. 1 vs. LAA (7.1,5,1,1,2,2)...Retired first 13 batters faced Sept. 25 at Toronto; ended up recording his 4th loss of theseason (6.2,7,4,4,0,5,HR) Tossed at least 6.0 innings in 7 of his 10 starts...only the 4th Mariner rookie to toss at least6.0 innings in his first 5 starts (Bob Stoddard, 12, 1981-82; Bobby Madritsch, 9, 2004;Erik Hanson, 5, 1988)...The 22nd Mariners pitcher to record at least 10 starts as a rookie and first since FelixHernandez made 12 starts in 2005...Started the season with West Tennessee, tossing 5.2 scoreless innings before beingpromoted to Tacoma on April 17...Went 0-0, 1.42 ERA (2 ER, 12.2 IP) in 4 relief appearances and 6-4, 4.13 ERA (43 ER, 93.2IP) in 17 starts with Tacoma...Walked only 11 batters and struck out 79 in 106.1 innings (7.18 strikeout/walk ratio),including walking only 4 batters in his first 70.0 innings with the Rainiers. Appeared in 31 games, 23 starts for West Tennessee...began season as a starter,before moving to the bullpen on Aug. 6...named Southern League Pitcher of the Week,April 14-20...lost 12 consecutive decisions, May 26-Aug. 10...finished 2nd in the leaguein losses (14)...played for the Peoria Javelinas in the Arizona Fall League (0-0, 3.32). Spent season with West Tennessee (AA)...tied for the team lead with 7 wins, whilefinishing T3rd in starts (24) and 3rd in innings pitched (131.0)...allowed 3 or less earnedruns in 16 of 24 starts, while tossing at least 6.0 innings in 12 games...on the DL with a right shoulder strain, June 5-28...won a season-high 4 consecutive starts, going 4-0 witha 3.95 ERA (12 ER, 27.1 IP), Aug. 9-27...tossed first career complete game, allowing 3runs on 8 hits in 9.0 innings, Aug. 15 vs. Huntsville. Began pro career with Everett...went 1-2 with a 0.95 ERA (2 ER, 19.0 IP) in 4 starts...struck out season-high 9 batters in first career start, June 22 vs. Tri-City...tossed 11.1consecutive scoreless innings, July 24-Aug. 17...limited opponents to a .229 average,including a .203 clip vs. right-handers. November 2, 2018 RHP Doug Fister elected free agency. November 2, 2018 Texas Rangers activated RHP Doug Fister from the 60-day disabled list. 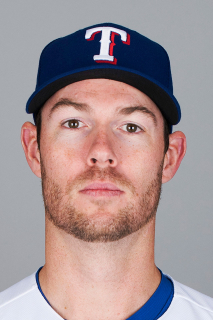 June 17, 2018 Texas Rangers transferred RHP Doug Fister from the 10-day disabled list to the 60-day disabled list. Right knee strain. June 10, 2018 Texas Rangers placed RHP Doug Fister on the 10-day disabled list retroactive to June 9, 2018. Right knee strain. April 25, 2018 Texas Rangers activated RHP Doug Fister from the 10-day disabled list. April 10, 2018 Texas Rangers placed RHP Doug Fister on the 10-day disabled list. Right hip strain. November 28, 2017 Texas Rangers signed free agent RHP Doug Fister. November 2, 2017 RHP Doug Fister elected free agency. June 24, 2017 Boston Red Sox activated RHP Doug Fister. June 23, 2017 Boston Red Sox claimed RHP Doug Fister off waivers from Los Angeles Angels. June 6, 2017 RHP Doug Fister assigned to Salt Lake Bees from Inland Empire 66ers. May 20, 2017 Los Angeles Angels signed free agent RHP Doug Fister. May 20, 2017 Los Angeles Angels optioned RHP Doug Fister to Inland Empire 66ers. November 3, 2016 RHP Doug Fister elected free agency. August 6, 2016 Houston Astros activated RHP Doug Fister from the paternity list. August 3, 2016 Houston Astros placed RHP Doug Fister on the paternity list. January 28, 2016 Houston Astros signed free agent RHP Doug Fister. November 2, 2015 RHP Doug Fister elected free agency. June 18, 2015 Washington Nationals activated RHP Doug Fister from the 15-day disabled list. June 12, 2015 Washington Nationals sent RHP Doug Fister on a rehab assignment to Harrisburg Senators. June 7, 2015 Washington Nationals sent RHP Doug Fister on a rehab assignment to Syracuse Chiefs. May 15, 2015 Washington Nationals placed RHP Doug Fister on the 15-day disabled list. Right forearm tightness. May 9, 2014 Washington Nationals activated RHP Doug Fister from the 15-day disabled list. May 2, 2014 Washington Nationals sent RHP Doug Fister on a rehab assignment to Harrisburg Senators. April 27, 2014 Washington Nationals sent RHP Doug Fister on a rehab assignment to Potomac Nationals. June 16, 2012 Doug Fister roster status changed by Detroit Tigers. May 30, 2012 Detroit Tigers placed RHP Doug Fister on the 15-day disabled list retroactive to May 29, 2012. Left side strain. May 7, 2012 Detroit Tigers activated RHP Doug Fister from the 15-day disabled list. May 2, 2012 sent RHP Doug Fister on a rehab assignment to Toledo Mud Hens. April 8, 2012 Detroit Tigers placed RHP Doug Fister on the 15-day disabled list. August 3, 2011 Detroit Tigers activated RHP Doug Fister. June 25, 2010 Seattle Mariners activated RHP Doug Fister from the 15-day disabled list. June 20, 2010 sent RHP Doug Fister on a rehab assignment to Tacoma Rainiers. June 6, 2010 Seattle Mariners placed RHP Doug Fister on the 15-day disabled list retroactive to June 1, 2010. Right shoulder fatigue. August 7, 2009 Seattle Mariners selected the contract of RHP Doug Fister from Tacoma Rainiers. June 30, 2009 Doug Fister assigned to Tacoma Rainiers from High Desert Mavericks. June 29, 2009 RHP Doug Fister assigned to High Desert Mavericks from Tacoma Rainiers. May 24, 2009 Doug Fister assigned to Tacoma Rainiers from Everett AquaSox. May 18, 2009 Doug Fister assigned to Everett AquaSox from Tacoma Rainiers. April 17, 2009 Doug Fister assigned to Tacoma Rainiers from West Tenn Diamond Jaxx.